Dr. Sid Stuart, a Board Certified Obstetrics and Gynecology physician, has been practicing at The Women’s Group in Pensacola, Florida since 2001. Dr. Stuart’s professional interests include low and high risk obstetrics, office gynecology including menopausal management, prevention of osteoporosis, infertility and urinary incontinence, minimally invasive surgery for stress urinary incontinence, and all aspects of gynecologic surgery including laparoscopic and vaginal surgery. Dr. Stuart performs surgeries using the daVinci Surgical System, a device that allows the physician to perform robotically assisted minimally invasive laparoscopic total hysterectomies through small incisions. This means a shorter hospital stay and recovery time and less pain and discomfort for the patient as compared to a traditional abdominal hysterectomy. Dr. Stuart performed the first robotically assisted hysterectomy at Sacred Heart and helped train the OR team to perform these surgeries. He is also a proctor for Intuitive Surgical, the manufacturer of the daVinci System, training other physicians to use the System. The daVinci System is available at Baptist, Sacred Heart and West Florida Hospitals and Dr. Stuart is on staff at each of these hospitals. Dr. Stuart was born in Grosse Tete, Louisiana and grew up in New Orleans. He attended Jesuit High School and the University of New Orleans where he received a Bachelor of Arts degree in English in 1973. He married Jeanne Marie Elmer, also of New Orleans, and they have four children. He received his medical degree from Louisiana State University Medical School in 1979. Dr. Stuart completed a rotating internship at Lafayette Charity Hospital in 1980 and his residency in obstetrics and gynecology at Ochsner Foundation Hospital in 1983. Licensed to practice medicine in both Louisiana and Florida, he was certified by the American Board of Obstetrics and Gynecology in 1985. He is a Fellow in the American College of Obstetrics and Gynecology (ACOG) and has served as past chairman of the Louisiana section of the Junior Fellows of ACOG. He previously practiced at the West Florida Medical Center Clinic until he joined The Women’s Group in March 2001. 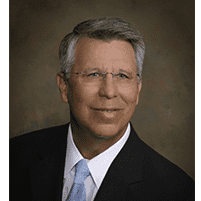 Dr. Stuart has served on the Board of Trustees of West Florida Hospital and the Board of Directors at the Medical Center Clinic. Dr. Stuart is Medical Director of Women's Services at Sacred Heart Hospital, Pensacola. Dr. Stuart is a Clinical Assistant Professor in the Department of Clinical Sciences at the Florida State University College of Medicine. Personal interests include fishing, golf and spending time with his grandchildren. Above all, Dr. Stuart appreciates the distinct privilege that is his in being a physician and strives to treat all his patients with compassion and kindness.